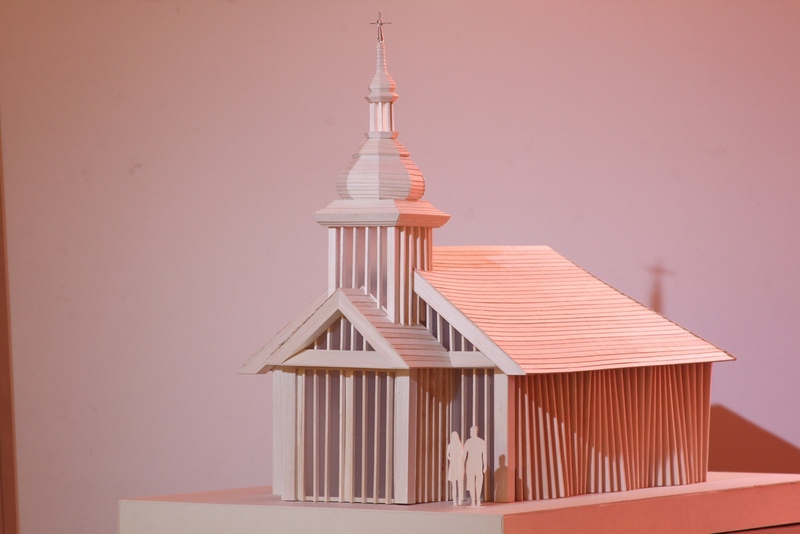 In September 2013, the planning permission was granted to construct an all-timber chapel for Belarusian Catholic Mission of Byzantine rite, within its grounds in leafy Woodside Park, North London. In December 2016, in the year of the tragic anniversary of the Chernobyl nuclear disaster, which affected 1/3 of the territory of the Republic of Belarus, our church was finally built and consecrated. It bears the name of the Holy Hierarch Cyril of Turau and All the Patron Saints of the Belarusian People like a very few other Belarusian churches (Orthodox) left in the Western world and is a memorial to the victims of Chernobyl. The history of the Belarusian (initially called in English White-Ruthenian, then Byelorussian) Catholic Mission of the Byzantine-Slavonic Rite however dates back to more than six decades. The year of 1947 saw the founding of the Mission in London with agreement from the then Roman Catholic Diocese of Westminster. It is one of the very few Catholic Churches of Eastern Rite in the UK. Historically there was an established community of White-Ruthenian ex-pats in London. Following the WWII their numbers swelled when Belarusian soldiers of the Polish corp were demobilised and were reluctant to return to their homeland due to the onset of the Cold War and the creation of the Iron Curtain. North Finchley has since WWII become a key location for the Belarusian community, with the establishment of a small chapel named after Holy Apostles Peter and Paul, at the Marian House in 1948, followed by the Francis Skaryna Library and Museum in 1971, which is the only library outside Belarus to collect exclusively in the field of Belarusian studies and its collection is the most comprehensive in Western Europe. Website: http://www.skaryna.org.uk/en/. This corner of Woodside Park was therefore dubbed a «Belarusian Village» ever since. The new church sits surrounded by thirteen eye-arresting lime trees and four skinny but equally charming birches, rising up to almost 20 metres, of which 15 are now statutorily protected. The white birches were originally planted in the 60-s by bishop Ceslaus Sipovich (1914–1981) and Fr Alexander Nadson (1926-2015)— to remind them of their beloved motherland. The architect therefore, with the help of the scholars from the State Open Air Museum of Folk Architecture and Life in Strocycy, Belarus, conducted a field trip to Belarus to study the precedent architecture of the former Uniate churches built before the Russian Occupation in late 18th century. 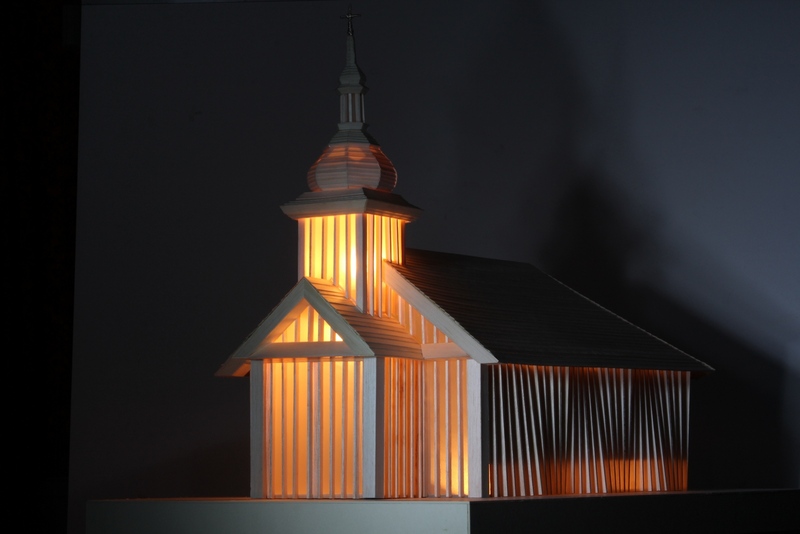 Most historic Uniate churches in rural Belarus were predominantly built using wood and topped with a distinctive cupola in Baroque style with a sun-cross. This style is in contrast to the churches seen with Russian ‘onion’ domes and an eight-point ‘orthodox’ cross, which was introduced when the country was subject to Russian rule. 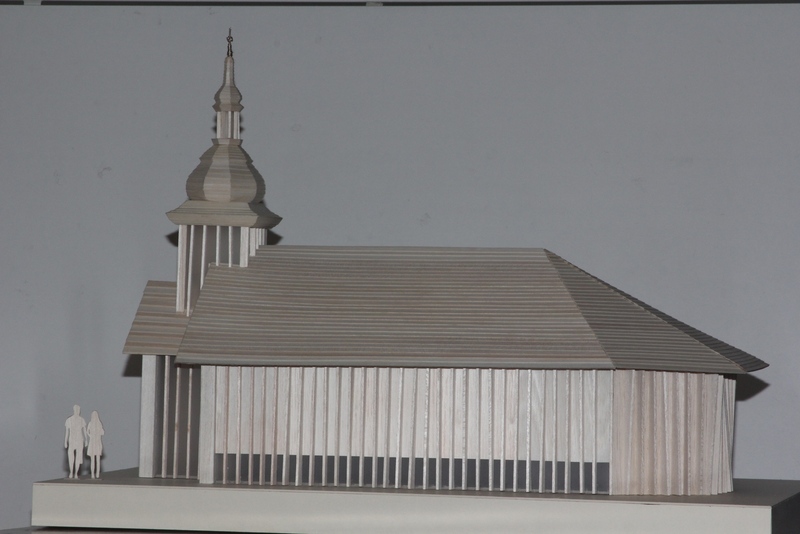 The new church is clad in timber with restricted areas of clerestory windows and obscured glazing, since the religious artefacts, in particular, the icons are very vulnerable under exposure to direct sunlight. The obscured glazing panels and the high clerestory windows, although enable penetration of natural light, prohibit any direct views from inside, the chapel is therefore essentially «windowless». This is however in line with the inward-focused Byzantine liturgical traditions. 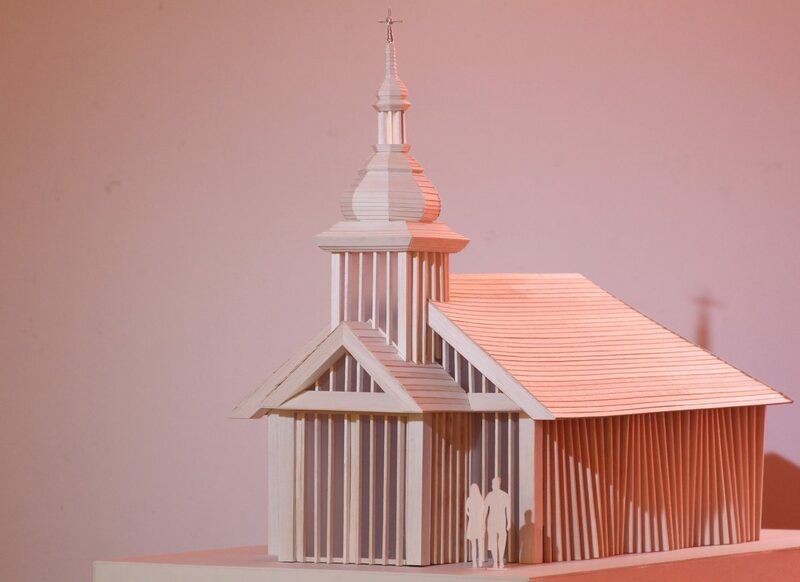 The design of the external walls was inspired by the traditional vertical timber cladding of the Baroque inspired Belarusian Uniate wooden churches. Scholars identify Baroque strongly with the Catholic Church, directly linked to the Counter-Reformation, at the time in which the union of Brest (1596) was signed and this is also reflected in Belarusian ecclesiastic architecture of the time. The cladding panels consist of different shapes to create an undulating, wave-like profile, again inspired by the typical Baroque formula. Therefore, although the cladding pattern remains vertical when observed perpendicularly, the profile of the walls will continue to change as the viewer moves around the chapel. The sun will also cast changing shadows over the chapel, depending on the time of the day. «Although since the 1940s Belarusian organisations have owned a number of buildings in London, Manchester and Branford, this project is without precedent in creating a new landmark on the UK landscape with specific artistic links to Belarus. 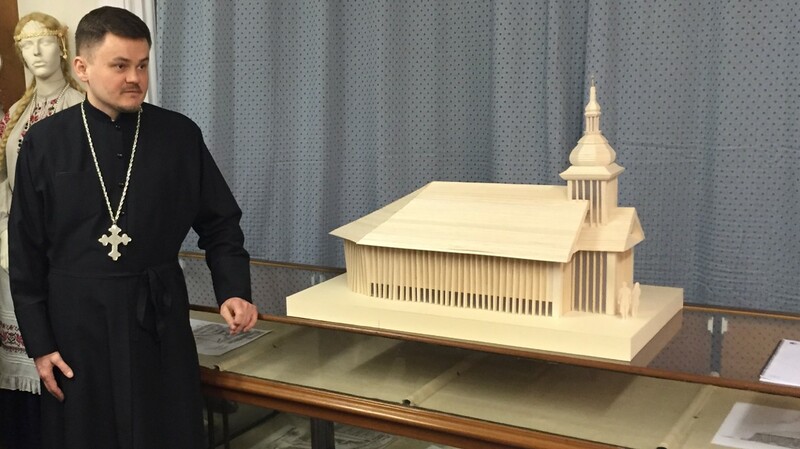 As I have followed this design development from its early stages, I am only very well aware of how strongly the architect behind intended to saturate it in Belarusian historical and cultural symbolism. But he has also made an excellent job keeping it firmly embedded in the UK architectural innovation context of our age. Hence on the one hand, the design is inspired by recognisable architectural motifs of Belarusian historical ecclesiastical wooden buildings. 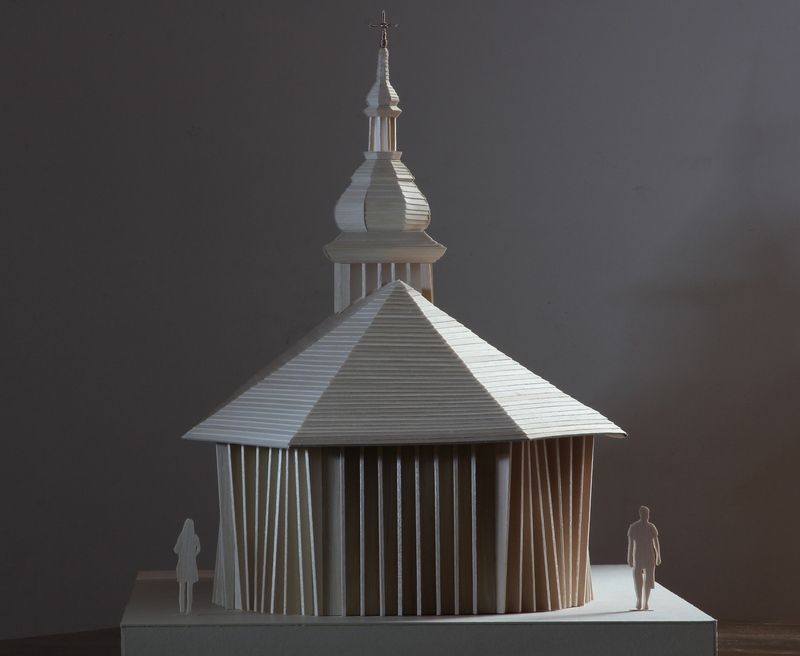 The design may also serve as a reminder of the nationally traumatic loss of a great number of rural settlements — ancient and modern — as 70% of the Chernobyl radioactive fallout fell on southern Belarus. And perhaps the wavy rows of vertical features prominently embedded along the chapel walls might even invoke in the memory of Belarusian expatriates the images of those beautiful coniferous woodlands in their distant native land. However, while this ecclesiastic building clearly takes pride in paying homage to its cultural lineage, yet it also speaks the language of the 21 century architectural solutions in the UK. It is inspired by Belarusian wooden architecture of the Baroque age, while in no way transplanting any pre-existing examples from Belarus. The project will become an addition to the modern British architectural landscape creating a worthy specimen of original architecture. This makes it an all-around genuine modern British-Belarusian building fusing artistic inspiration from historical Belarus with qualities of fundamentally an original modern UK structure.